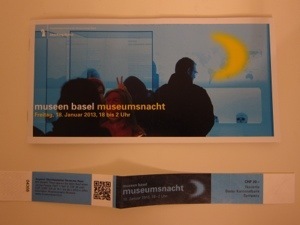 Once a year, all the museums in Basel extend their opening hours beyond midnight. 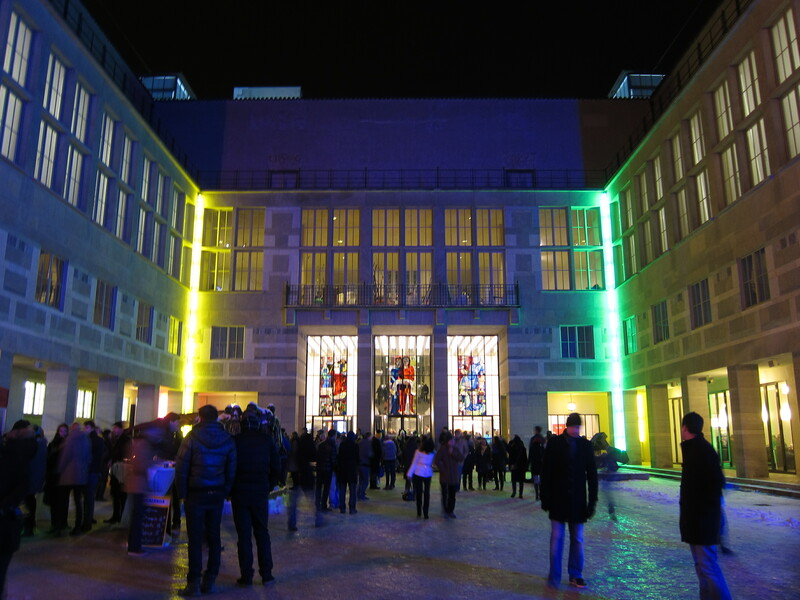 For CHF20 per person, you can visit as many museums as your heart desires, between 6pm and 2am. The ticket covers tram and bus fares too, so you can museum-hop to your heart’s content. It’s a pretty good deal, given that this teeny town has more than 30 museums. There are activities for kids too, so nobody is left out – and it’s a good excuse for kids to stay up late. I had initially planned on going to three or four museums, but after the second one, I was already half asleep. My sleepiness had nothing to do with the museum exhibitions – it was just me; I’ve never been a night owl. Come 9pm and I’m already yawning. The only reason I sleep late is to watch Revenge, or Homeland, or The New Normal. Or anything good on telly, for that matter. 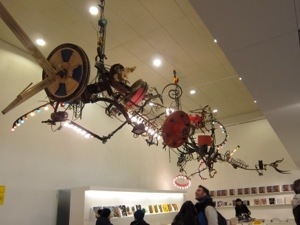 Anyways, our first stop was the Tinguely Museum, which houses the works of Jean Tinguely, a Swiss sculptor known for his “machine sculptures” or “kinetic art”. He actually started out as a shop-window dresser for Globus, a high-end departmental store in Switzerland. I read somewhere that Globus is famous for its window displays, the way London’s Harvey Nichols is famed for theirs. Personally, though, I don’t think Globus is in the same league as Harvey Nichols. 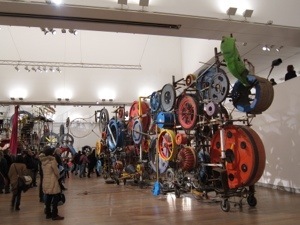 Or maybe standards have gone down since Tinguely left Globus. I wouldn’t know. 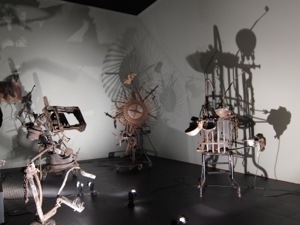 All the sculptures in the Tinguely Museum are machine sculptures, which move when you press a button. Given the volume of visitors during Museumsnacht, and to preserve the longevity of each sculpture, a delay mechanism is built into each sculpture, so it may not move if you press the button immediately after it has just stopped. 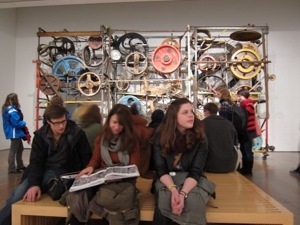 All the same, I went around the museum pressing all the buttons on almost all the sculptures – trying my luck. I think I may have embarrassed Mr TH with my delight and amusement whenever any of the sculptures moved. But at least I didn’t fight with any kids over button-pressing rights. He should be grateful for that. 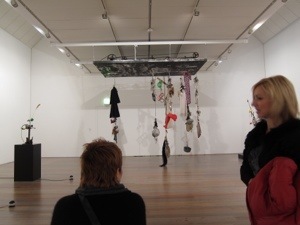 Our next stop was the Kunstmuseum for the Arte Povera exhibition. Arte Povera is an art movement born in Italy in the 1960s, as a reaction against modernist abstract art, modernism and technology, among other things. 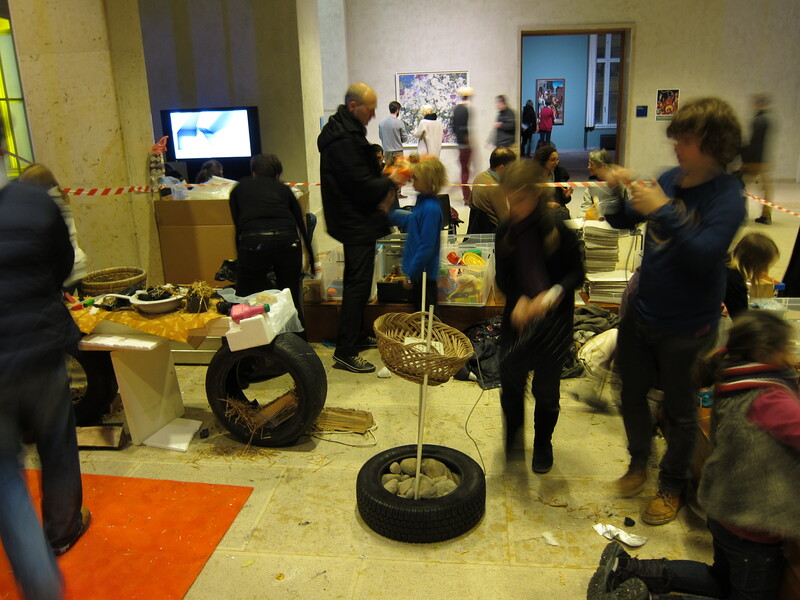 As such, a lot of it is sculptural, and uses simple, commonplace materials (hence the name Arte Povera – “impoverished art”). 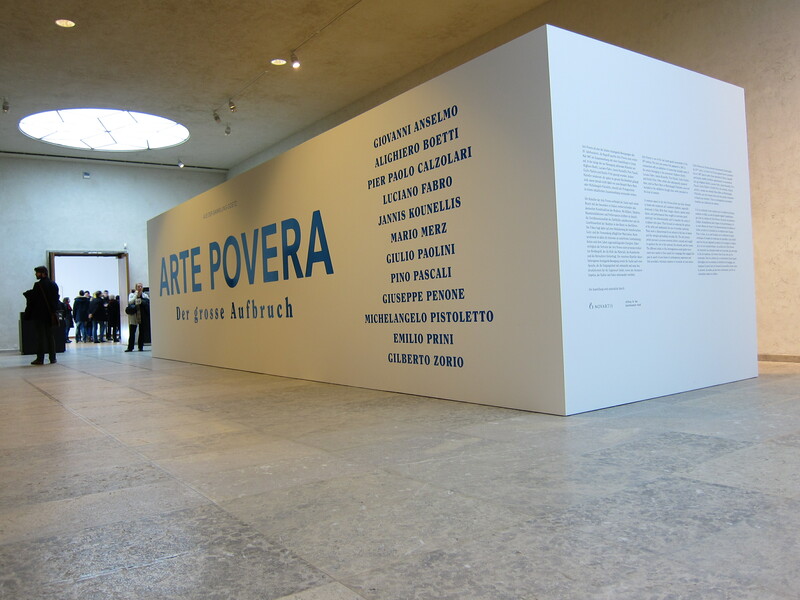 Having never heard of Arte Povera, I was curious. After having actually seen the exhibition, I can happily say that my knowledge and understanding of the Arte Povera movement is on par with my understanding of other forms of modern art. In other words, I can’t make head or tail of it. Unfortunately photography within the exhibition area was prohibited, so I’m unable to share my confusion with all of you. What else had I been up to? Well, there was that one weekend when we went to Metzingen with our friends. 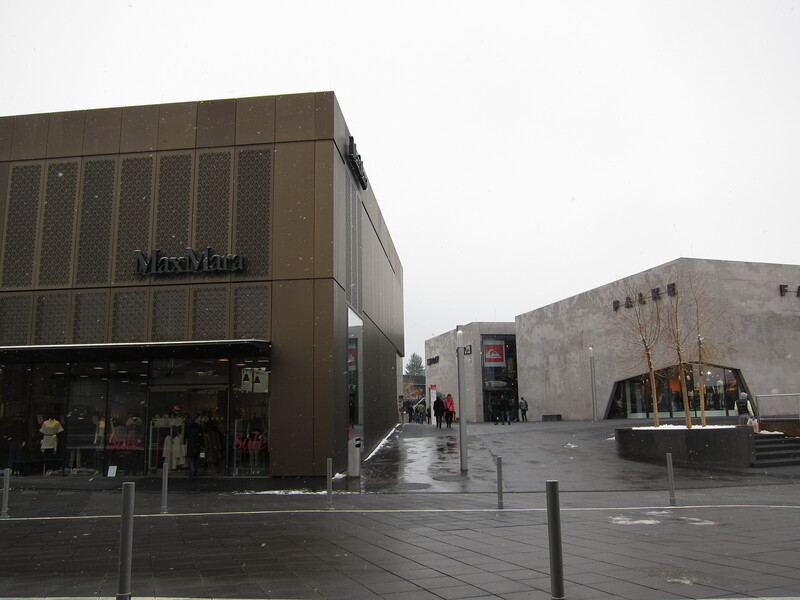 Metzingen is a three-hour drive from Basel, and there’s a nice little outlet town there. Given the current economic crisis in Euro land, we felt it was our civic duty to pump some Geld into their coffers. How could we live with ourselves if we didn’t? We spent an entire day just walking around, popping in and out of the shops there, and helping out where we could. We may not have lifted the economy out of the doldrums, but it warms my heart to know that we contributed, somehow. A drop of water and oceans and all that jazz, you know. Of course, the real retail boost came from the bus loads of Chinese tourists. No surprise there. Oh and there was also Silver Linings Playbook. Our first movie of the year. Before I continue, let me just clarify the significance of watching movies here. As with all things Swiss, movie tickets are expensive. A movie ticket can cost between CHF17 to CHF19 per person, which is around RM60. Back home, that can get you a Gold Class ticket, complete with a reclining chair, blanket and popcorn delivered to your seat. Just to make my point clearer, you could hop into your car and take a 15-minute drive into Germany, where a movie ticket costs just EUR5, which is equivalent to CHF6. But all the movies there are dubbed into German, and since my German wouldn’t even put me through kindergarten, crossing the border isn’t an option. So our only option is to be more selective. If we’re going to spend money going to the cinema, the movie had better be worth it. Thankfully Silver Linings Playbook was worth it. The only other time I’ve watched Bradley Cooper was in The A Team, and I have to say, his performance in Silver Linings Playbook was a nice surprise. I have nothing but love for Jennifer Lawrence; firstly because I loved her in X-Men and The Hunger Games, and secondly because she reminds me of Emily Thorne in Revenge. Personally, I think Jennifer Lawrence is a much better actress than Emily VanCamp, but I have a weird fascination with the Emily Thorne character. Speaking of things bizarre, some of the smaller cinemas in Basel have intermissions. Like in plays or musicals or concerts. So right smack in the middle of a movie, the screen will go blank and the lights will go on, and you get a 5-10 minute break. It doesn’t matter which part of the movie you’re in; it could be in the middle of a car chase, or just as the protagonist is picking up the phone, or just as a person is getting shot. I have no idea why there is an intermission; I’d love to find out why. Despite the intermission, I thoroughly enjoyed Silver Linings Playbook. It was well worth the ticket price. And since it’s the awards season now, there are a whole host of good movies playing in the cinemas. There goes my lunch money. After all the museum-hopping, saving the European economy, and forking out good money on overpriced cinema tickets, I found I still had days when I had – surprise, surprise, – free time on my hands. My chores were done, homework finished (or postponed, hehe), and I had no errands to run. Why, hop on the train and head out of Basel, of course! As I’ve mentioned before, Basel is a small and quiet town. As much as I love the peace and serenity here, I sometimes need a bit of a change. When the boredom starts to creep in, I normally make a day trip to Zurich. It’s only an hour’s train ride, and the train from Basel to Zurich runs four times an hour. I’ve done it a few times before; hop on the train in the morning, walk around the city centre, have lunch, pop into Orell Fuessli (the largest English bookshop in Switzerland) to buy a book or two, and then hop on the train back to Basel. This time around, though, I felt like I needed a proper mission. 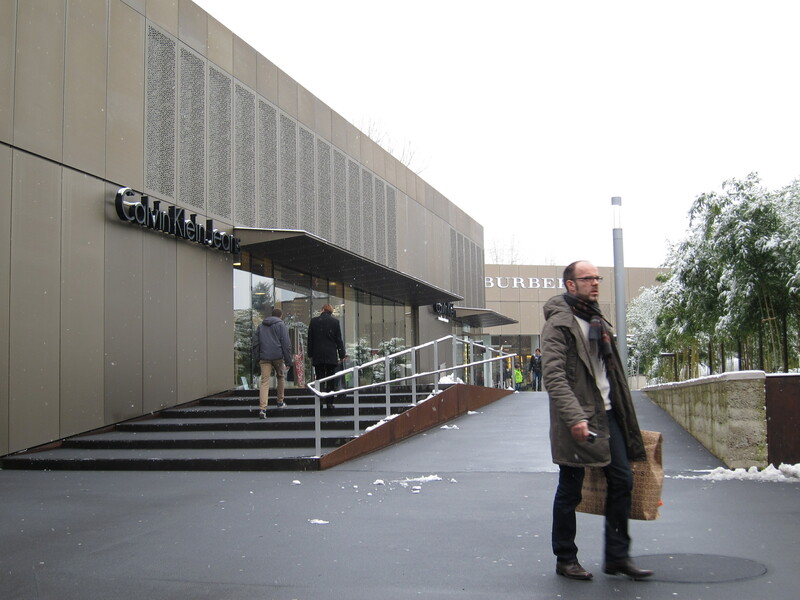 I had been to the main sights and shops, and although Zurich has a few good museums, I wasn’t in the mood for another museum visit so soon after Museumsnacht. So I decided to make it a food hunt instead. I’m Malaysian, after all. I found a nice little place on TripAdvisor.com that I wanted to try out. It’s an Asian restaurant called Teoh’s, which is owned by a Malaysian couple from Penang. And they serve Malaysian hawker food. Raclette and Swiss chocolate have their special place in my heart, but woe to those who dare compete against char kuey teow and assam laksa. So off I went in search of Teoh’s. Armed with a train timetable, address and city map, I was good to go. The restaurant wasn’t too hard to find, but it wasn’t exactly in the city centre. I was even stopped by a kind elderly lady, who asked me where I was going. She told me that I was headed further away from the city centre, and that a lot of tourists have done so by mistake. I appreciated her concern, but at the same time I couldn’t help wondering whether I looked too much like a lost tourist, mouth agape searching for street names. The opened map in my hand didn’t help my cause. In any case, I found Teoh’s, and I had my fill. It wasn’t too bad at all – certainly the best I’ve had outside of Malaysia. 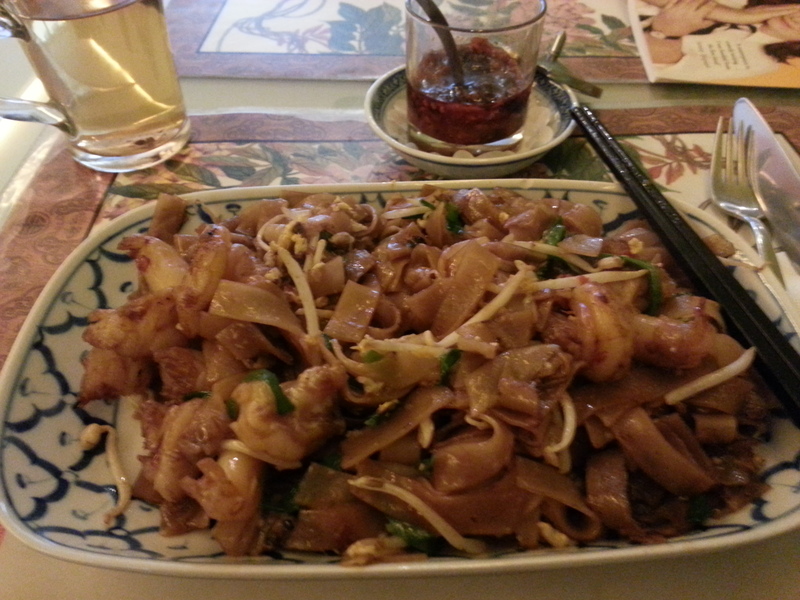 At around CHF25 (roughly RM80) per plate, it was also the most expensive char kuey teow I’ve come across. In comparison, going to the cinema is a bargain. This entry was posted in Blog and tagged Basel, food, museum. Bookmark the permalink. There are intermissions at Maltese cinemas too!! Weirdest experience at a cinema. Yes totally weird! And such an anti-climax! There are also intermission still in Holland and India too (and I think also a friend told me about in NZ). Its funny because previously it was because of certain needs (to change the reels etc) but I think some countries still do this because it helps the cinema in terms of getting people to buy from the food/drink stands – more profit.